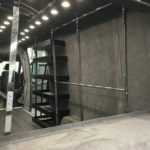 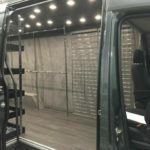 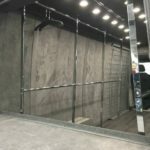 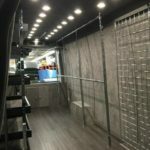 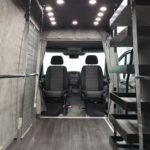 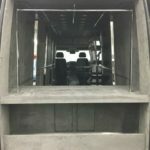 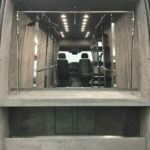 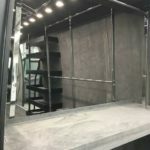 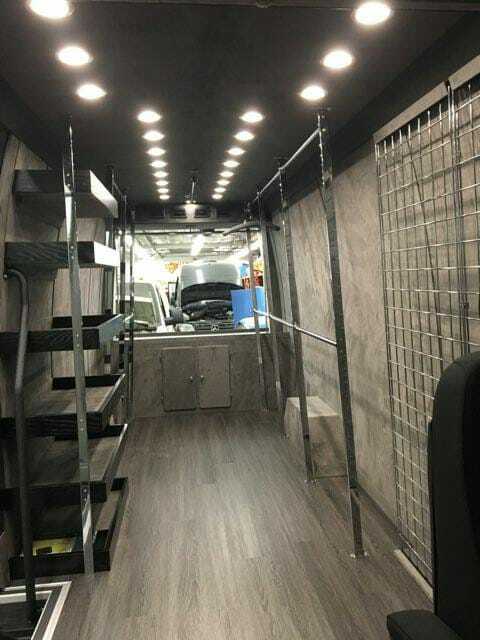 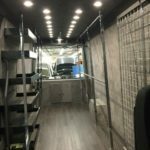 Mr. Kustom in Chicago designed and fabricated a Mercedes Benz Sprinter Van interior to be a Golf Clothing Showroom on Wheels for one of our customers. 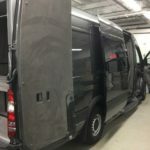 The customer brought us his new high top Mercedes Benz Sprinter Van for the upfit. 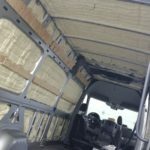 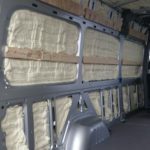 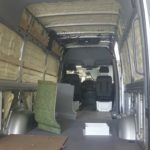 The complete interior was first insulated with a spray foam to give the van maximum insulation R value and to deaden all interior road sounds. 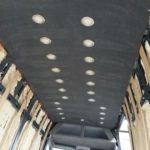 Next a ceiling mounted 30,000 btu air and heat unit with digital controls was added for year round interior comfort. 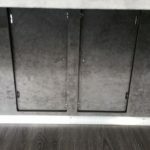 A black color waterproof wood laminate flooring was installed for an executive look interior. 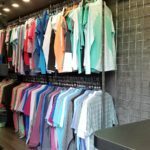 The customer requested special super white Led ceiling lights to bring out all the colors of the golf clothing. 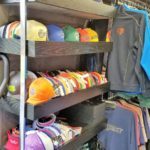 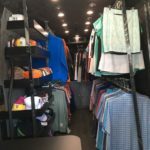 Custom garment racks were designed and fabricated to hold a large inventory of golf shirts, pants and other clothing. 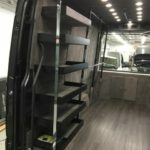 And a custom shelving system for golf shoes, hats, and other golf accessories were fabricated. 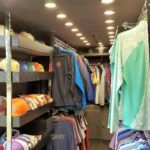 Led spot lights were added to accent the clothing on display for would be buyers. 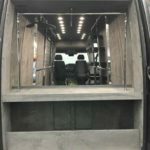 In the rear of the van we built large storage cabinets for golf clubs, golf bags, and other equipment. 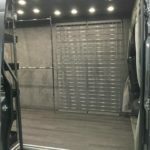 Above the driver and passenger seats a custom built storage space was installed for personal luggage and travel items. 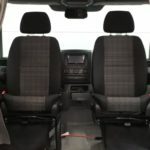 Both front seats were converted to Mercedes Benze Sprinter 360 degree swivel seat pedestals. 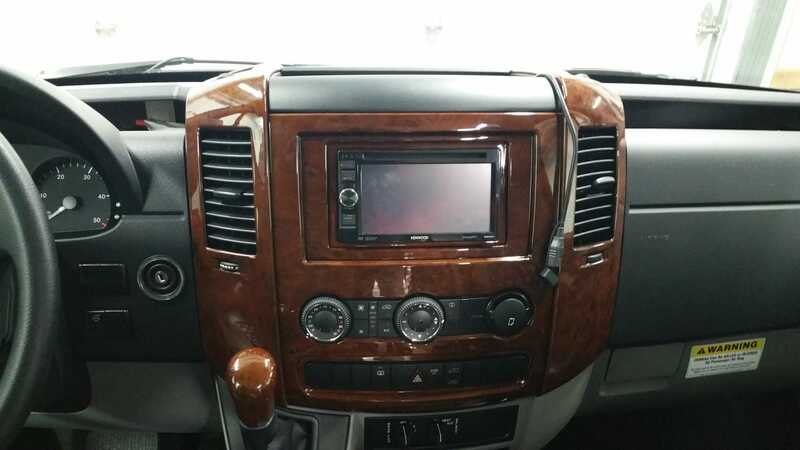 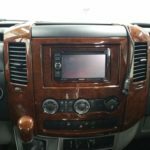 For the driver a 7” screen display Kenwood Navigation System was installed with backup camera. 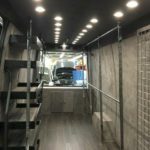 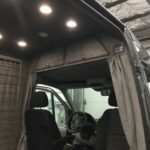 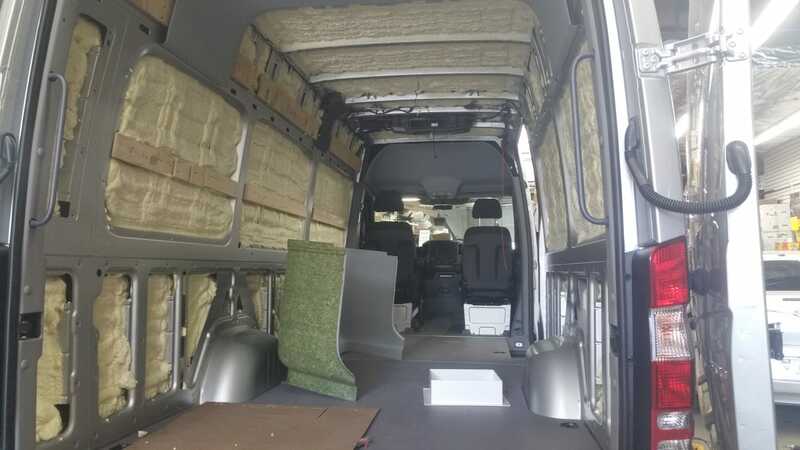 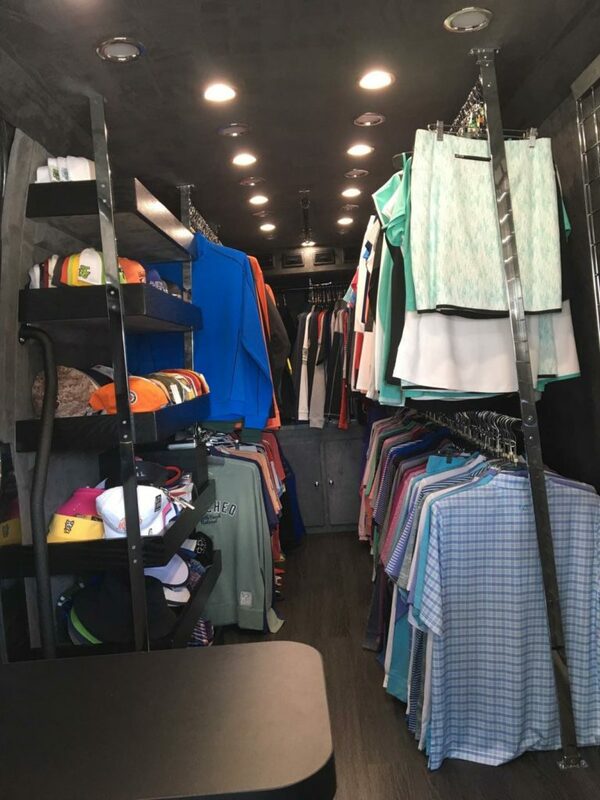 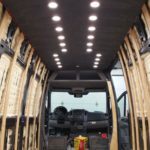 The finished vehicle by Mr. Kustom in Chicago was a professionally built mobile sales van interior showroom for selling golf clothing, and golf accessories on the road.